Are you familiar with the little square-shaped treats called Tirol Chocolates? With their distinct flavors and detailed wrapping, the small goodies are a sweet Japanese staple. Saving us from sudden sugar cravings and making great coffee-break companions, pocket-sized Tirol Chocolates add a small bit of joy to each day. 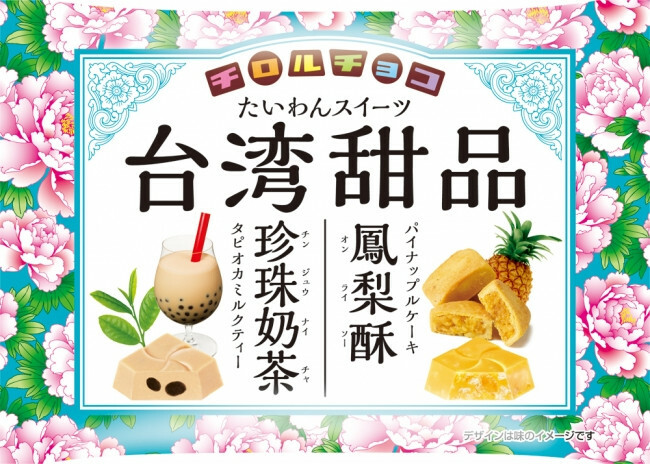 Fan favorites include classic flavors like cookies and cream, toffy, and chocolate biscuit, while Japanese tastes such as kinako-mochi and sakura are perfect souvenirs to bring abroad. Leading up to spring, the newest flavors launching from March 6 feature traditional Taiwanese sweets. That beloved sweet drink, tapioca milk tea, is transformed into a cute chocolate with chewy tapioca gummies inside. And the delicious pineapple cakes that have become a favorite Taiwanese souvenir can now be easily enjoyed in chocolate form. Both new flavors come in colorful packaging which mirrors the tropical flavors and landscape of the island. These chocolates may be small, but they might be the perfect thing to brighten up your day.